Up until just recently, The federal government has had challenges determining the actual ownership behind numbered or shell companies purchasing Condos in the Miami-Dade County area. Simply put, a foreign or local company can incorporate in places like Delaware and then operate as a legal entity within the United States. Furthermore, instead of purchasing a condominium in the owner’s name, it could be bought under the name of the company making it very difficult to determine it’s actual ownership. Just as interesting, companies can easily own other companies. People legitimately use these rules every day While others set out to take advantage of them. However, some people think the government should change these rules due to abuse. Let’s take a more in-depth look at how this is impacting Miami-Dade with a temporary test. Surprisingly, these scenarios would happen more frequently than people could even imagine. For example, a company could come into Miami-Dade and purchase a two-million-dollar, three-bedroom condominium under the name of Flower of Scotland and the federal government would not know who the actual owner is. In fact, it would even be challenging to understand the true intentions of the company whether legitimate or illegitimate. So, how could the government determine how widespread this problem truly is? Also, what steps do they have in their playbook to eliminate the shady companies affecting the area? 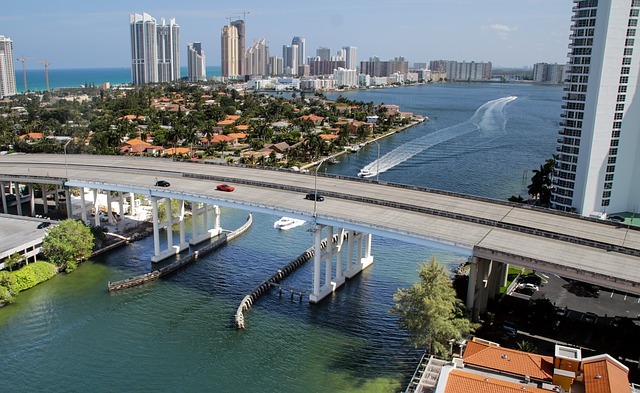 Recently the US Treasury Department put in place a temporary rule of transparency in both Miami-Dade County and Manhattan. The two locations are the nation’s highest valued real estate markets plagued with questionable money. This new rule would allow the government to lift the veil of secrecy to understand who these cash buyers are looking to purchase these properties. As a result, several people wondered what the impact of this new disclosure experiment would do to the condo sales in Miami-Dade. The University of Miami followed through with the first-ever study of its kind and determined the new policy resulted in a 95% drop in Shell companies purchasing in the area. Incidentally, Properties bought using this method came to a grinding halt. The government was able to determine the experiment could drastically reduce the possibility of money laundering through real estate in Miami. The new question was how much of an overall impact did this experiment have? The study looked at two main areas. The first question was how would this impact overall sales in Miami-Dade? According to the study, despite a significant reduction in Shell companies purchasing properties, it did not impact the sales of residential real estate very much at all. The second question people asked, is what will this do to the pricing? The study revealed pricing was slow to increase over this period. Ultimately though, Realtors and Real Estate Investors went on the record to say it didn’t impact their sales negatively really at all. in fact, some have even said they’ve seen an increase in cash purchases. The people going on the record to say they experienced an increase in cash sales of properties could indicate people have found yet another way through the complicated paperwork involved in these purchases. To conclude, the government has implemented new rules temporarily revealing the actual ownership of shell companies purchasing properties in Miami. The new rules are temporary but showed quite a bit of data to the government helping them understand the bigger picture. Once the new transparency rules were in effect, 95% of shell companies stopped purchasing properties in Miami during this time frame. In the overall big picture, it did not appear to impact total sales in Miami but slow the price increase in the area.